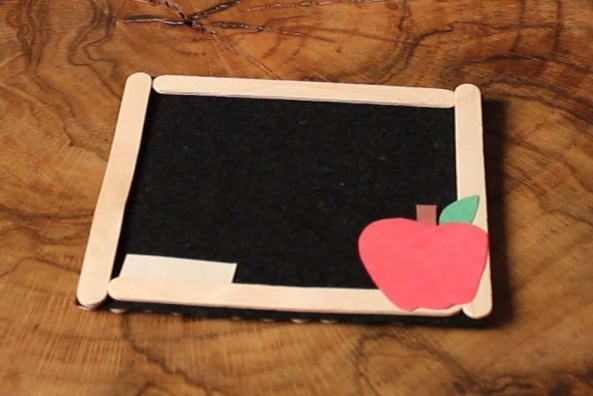 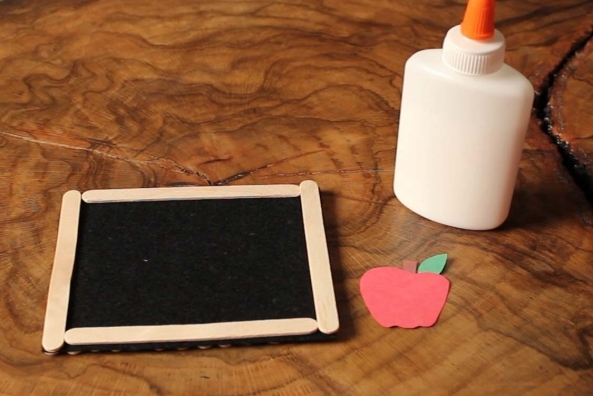 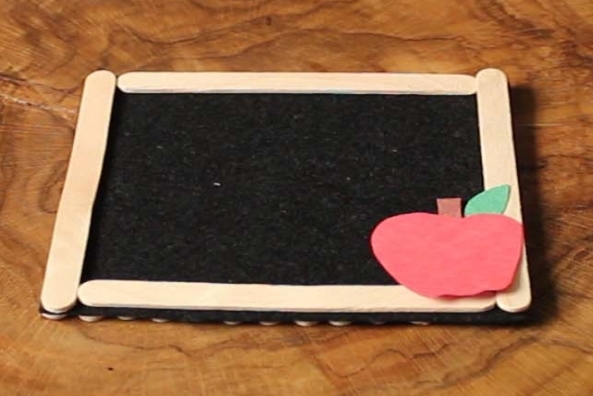 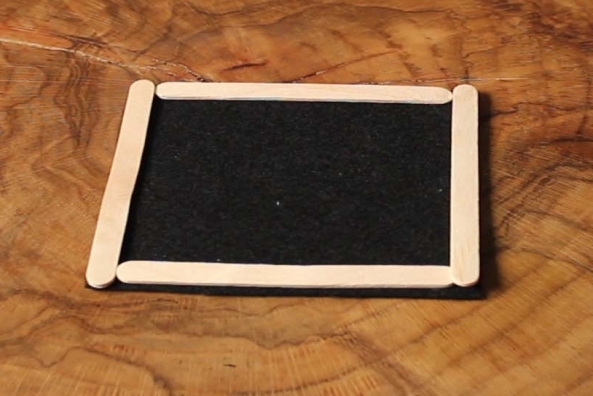 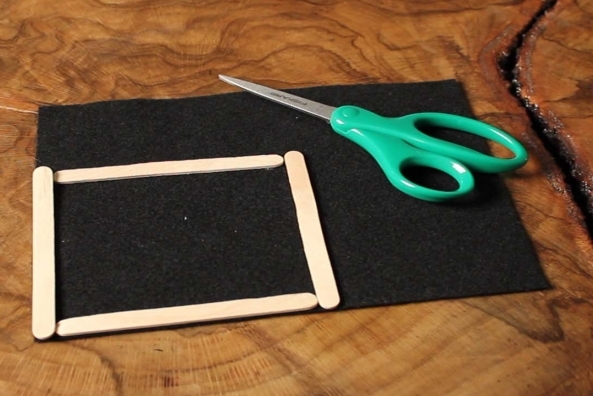 Create a custom frame for your school pictures with felt and craft sticks. 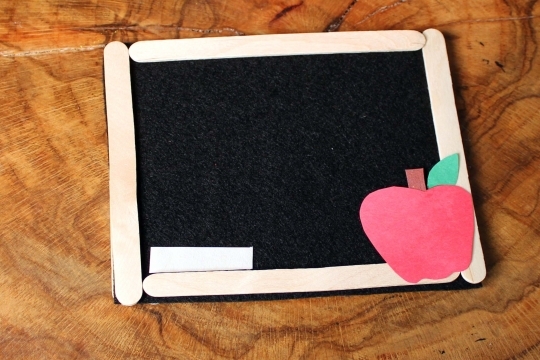 Makes an awesome teacher gift! 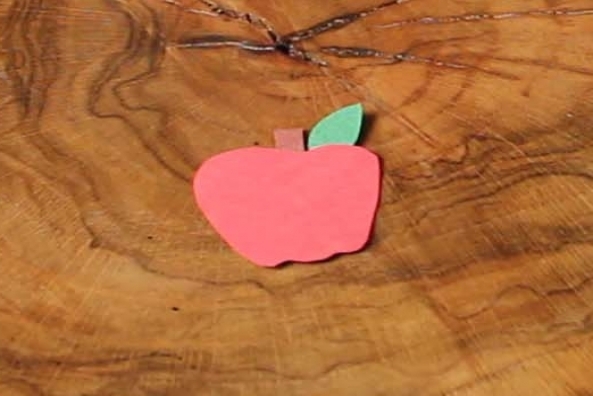 Its time for school pictures! 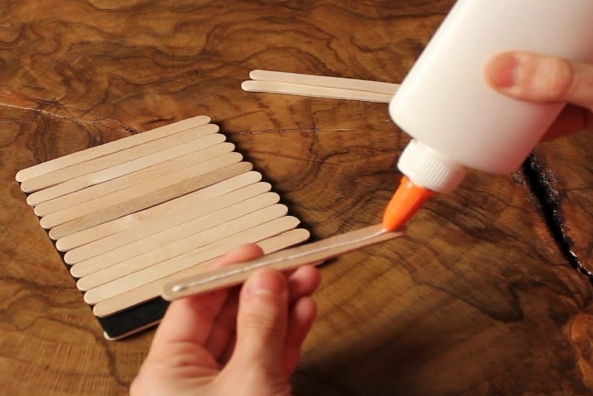 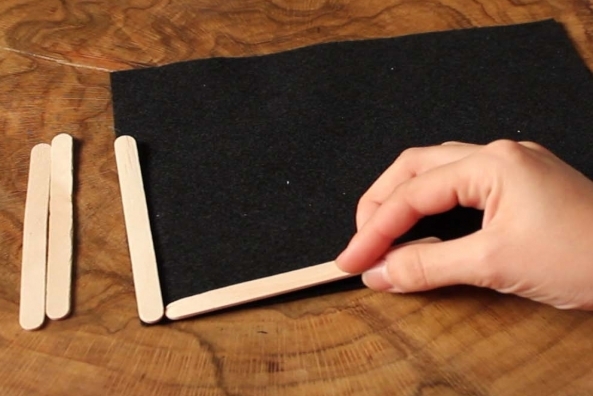 Glue four sticks onto felt. 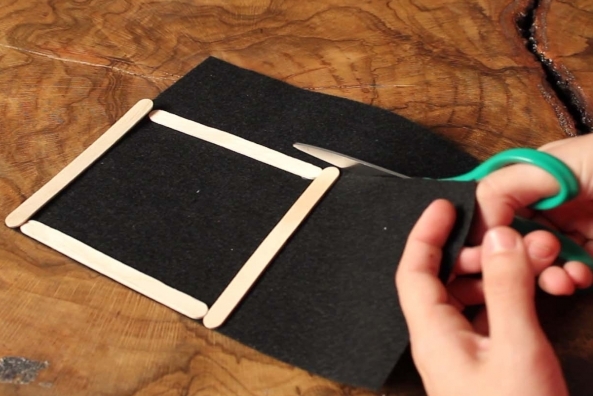 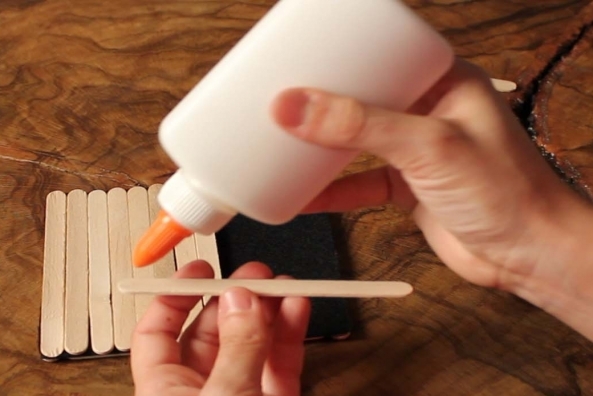 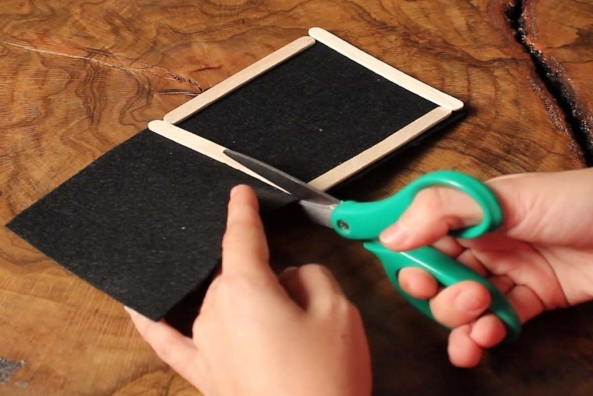 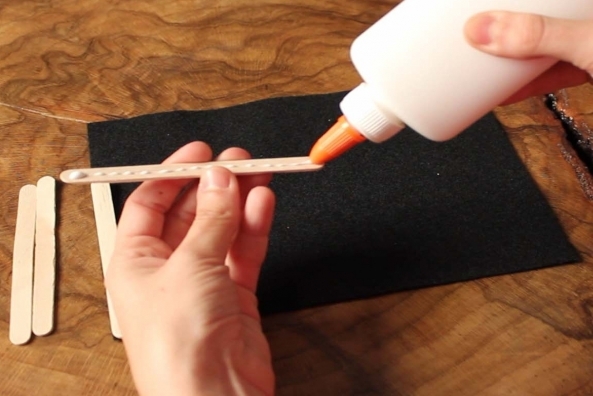 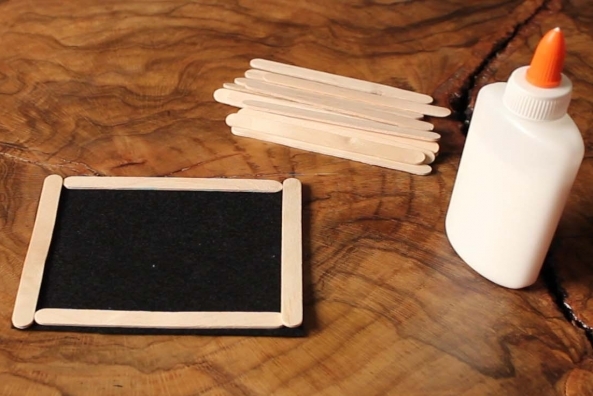 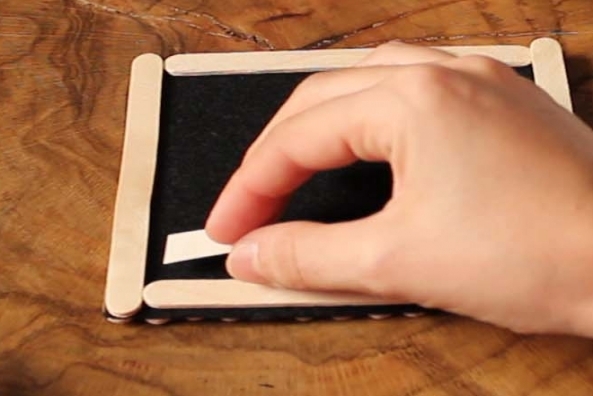 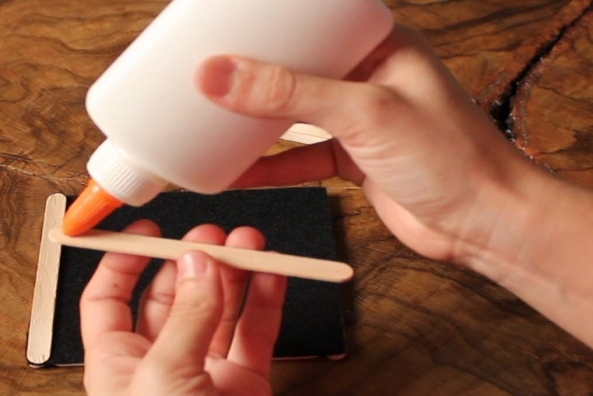 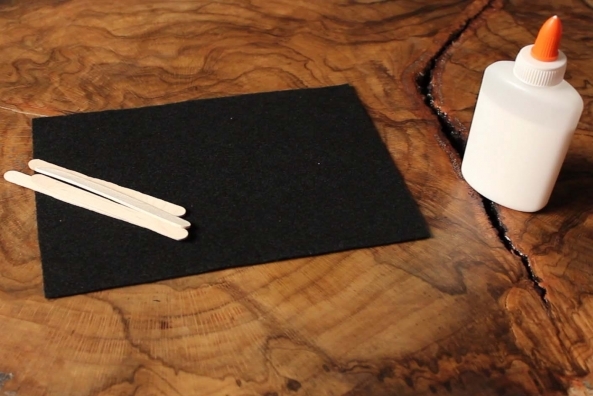 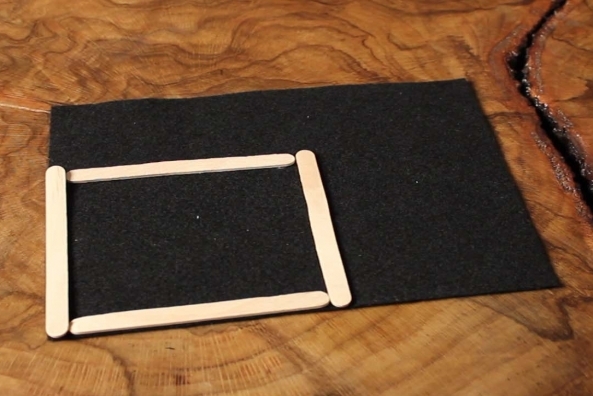 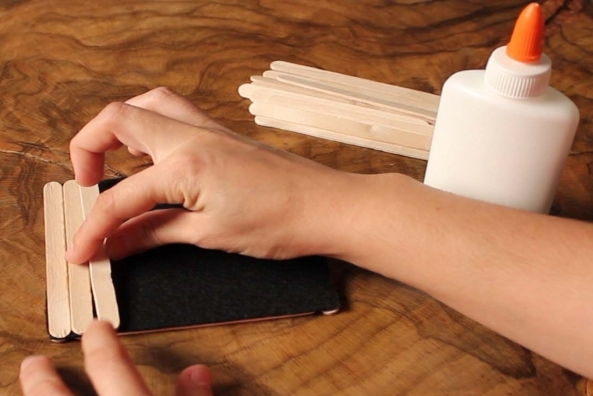 Glue four craft sticks onto a piece of black felt to measure out your frame. 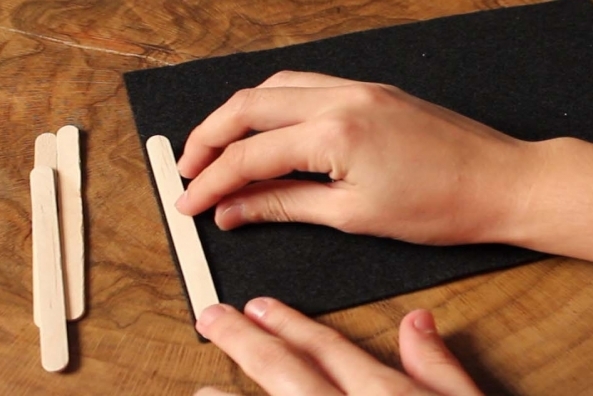 Glue craft sticks all across the back of the felt. 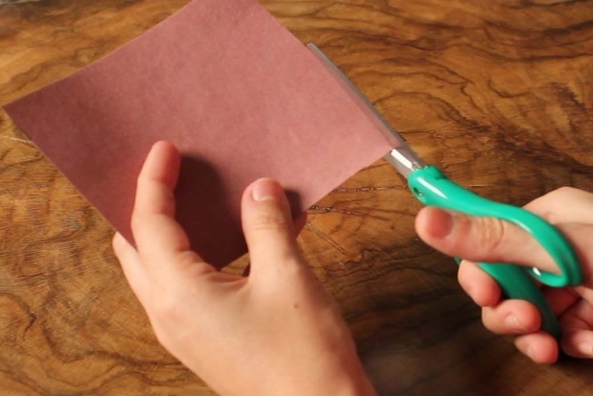 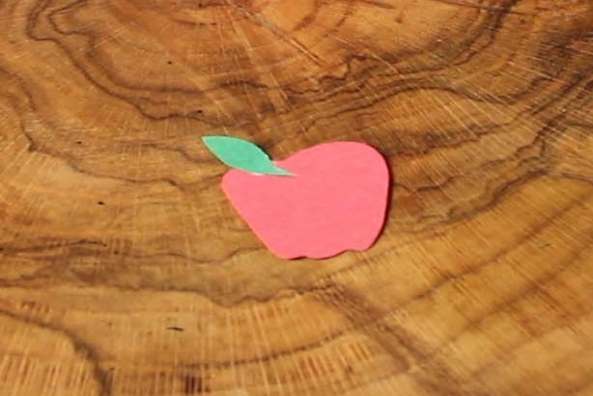 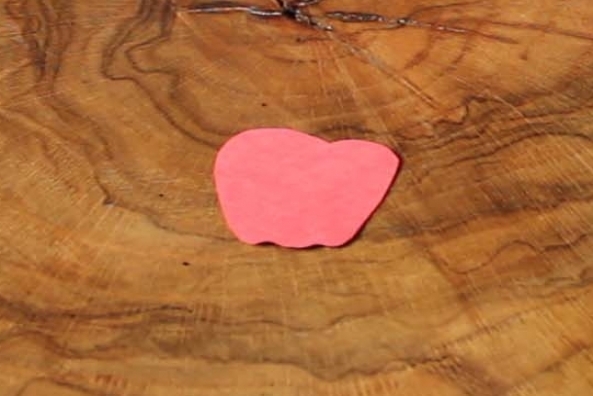 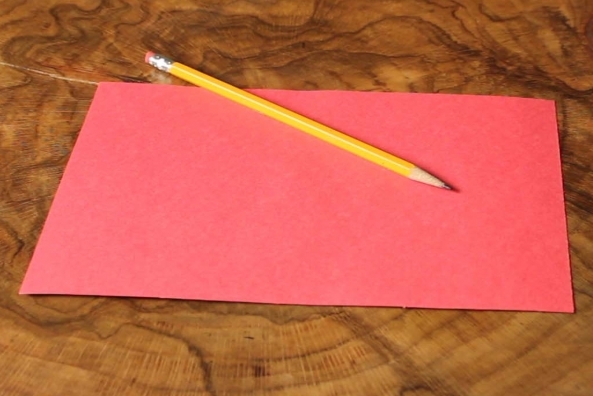 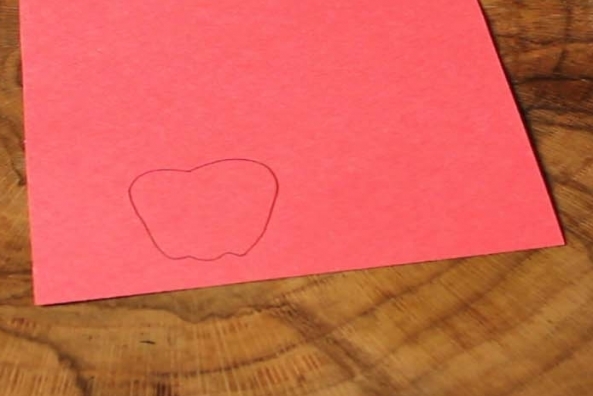 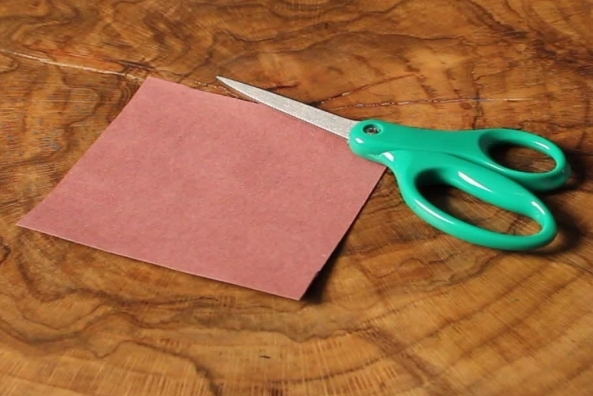 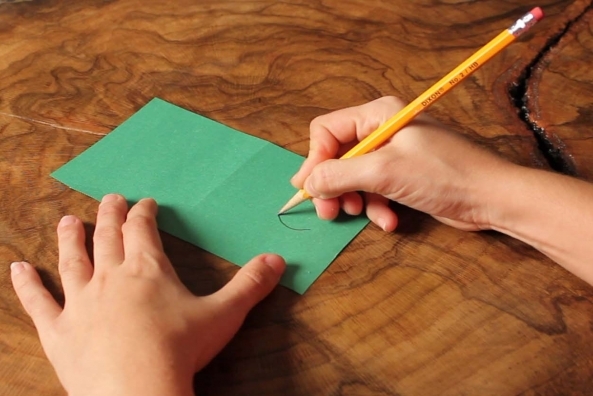 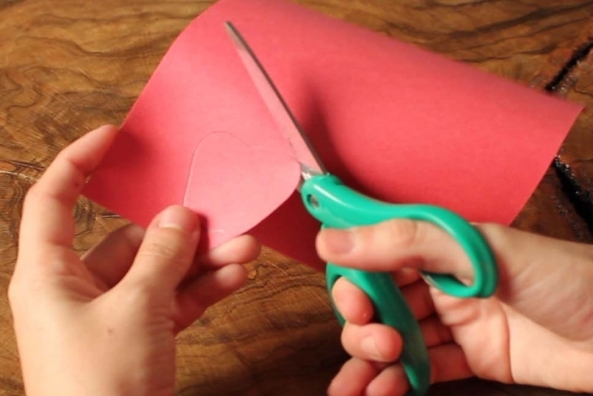 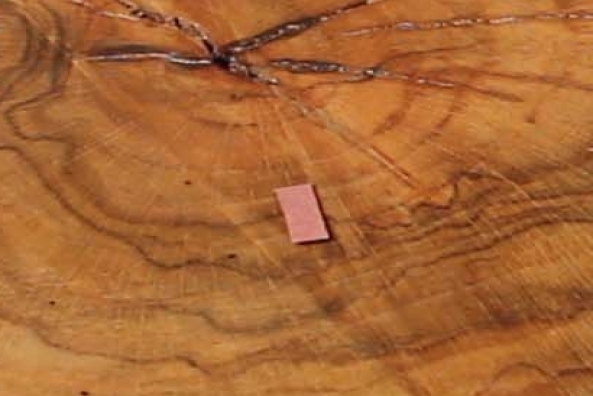 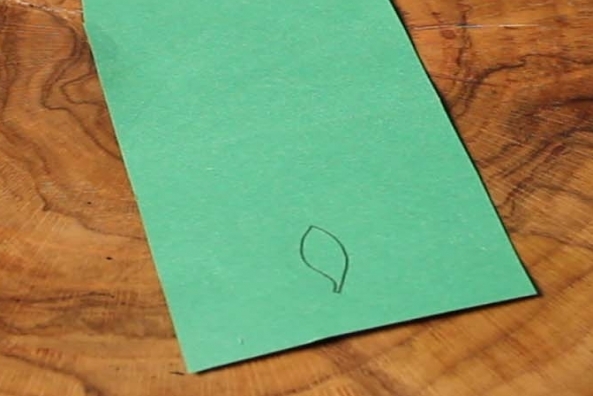 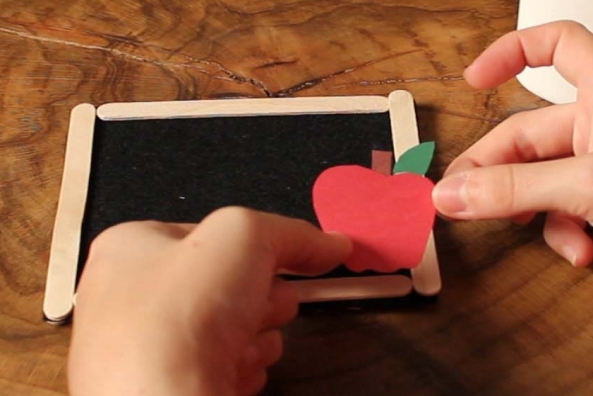 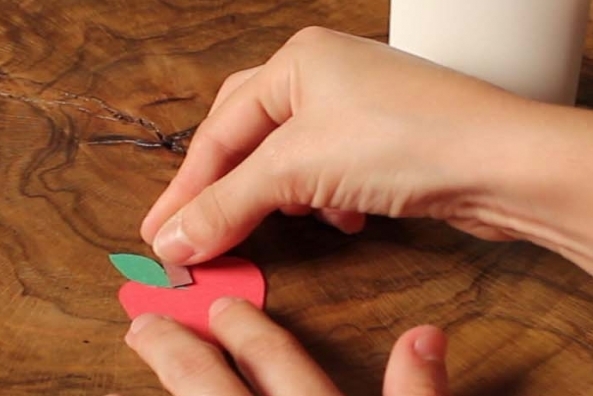 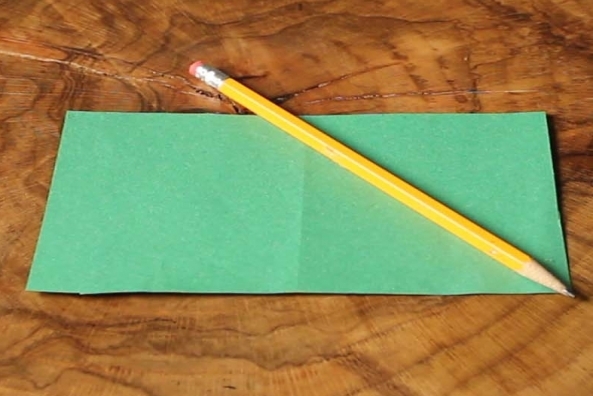 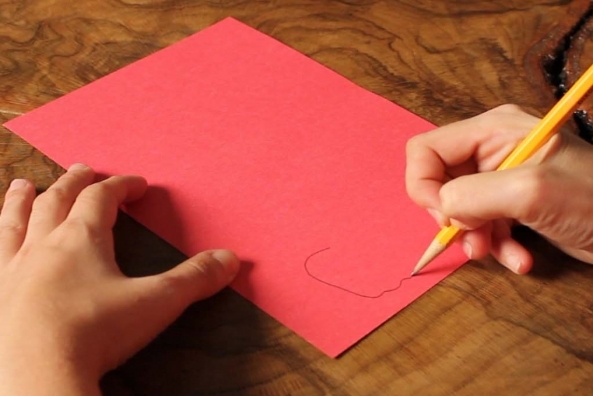 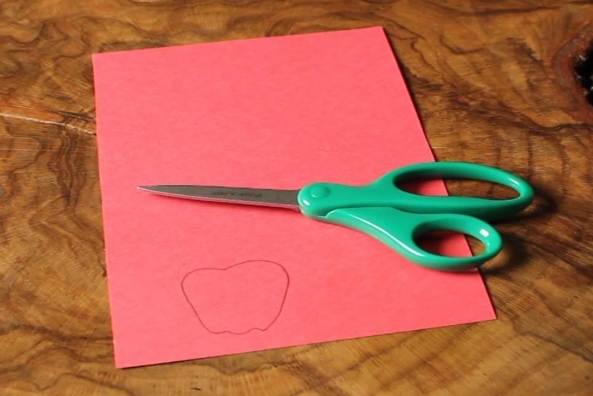 Draw an apple onto a piece of red construction paper. 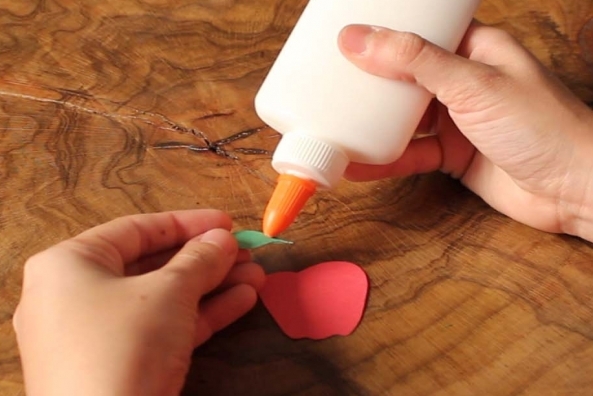 Glue the leaf onto the apple. 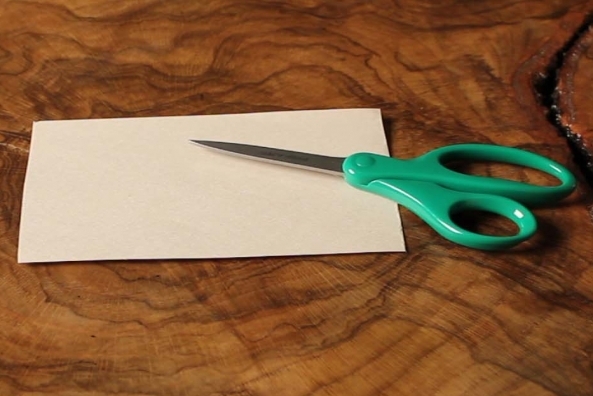 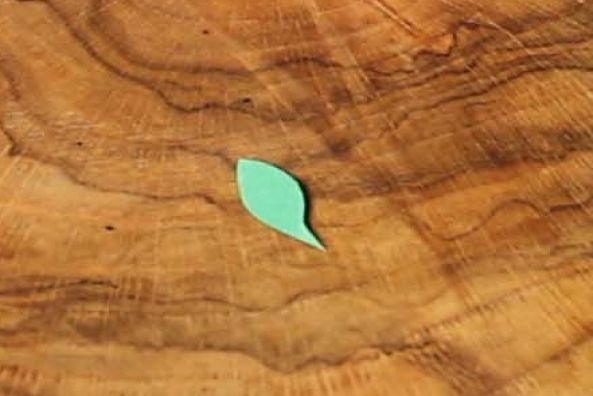 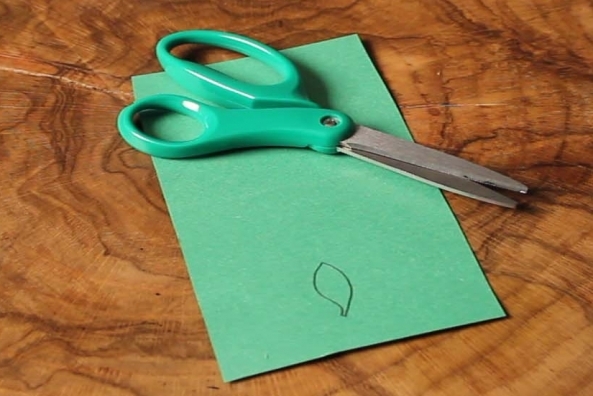 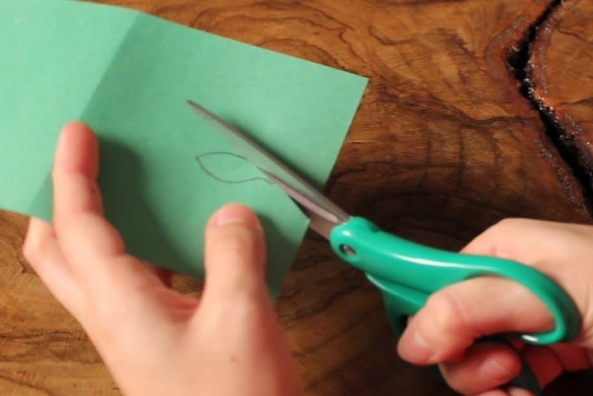 Cut out a stem from a piece of brown construction paper. 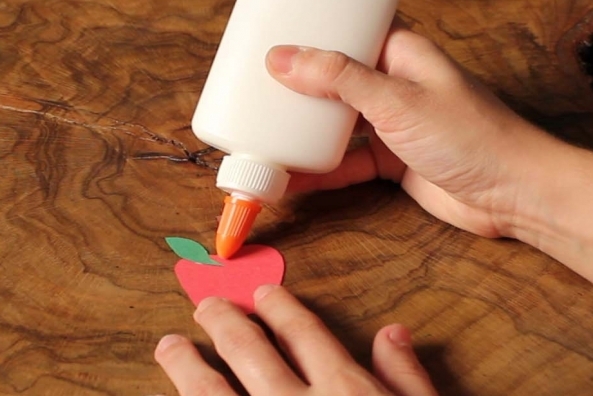 Glue the stem onto your apple next to the leaf. 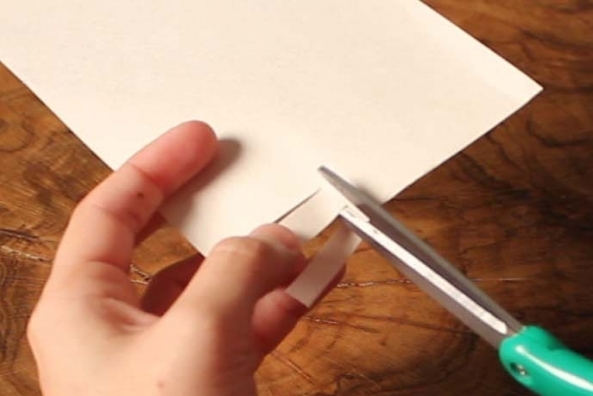 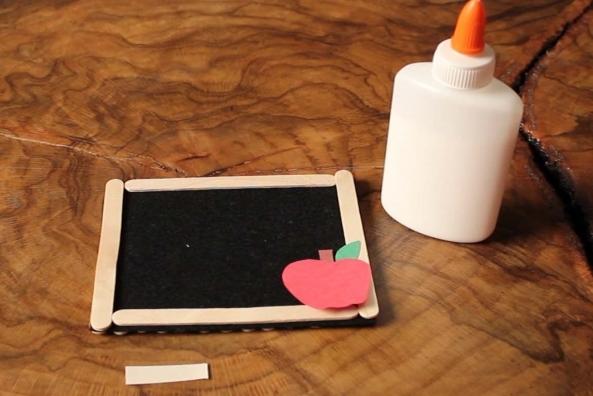 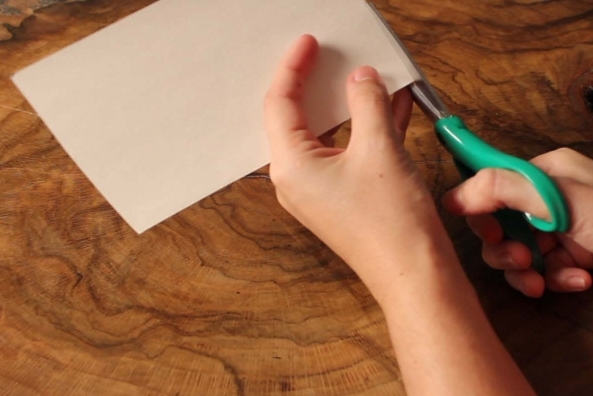 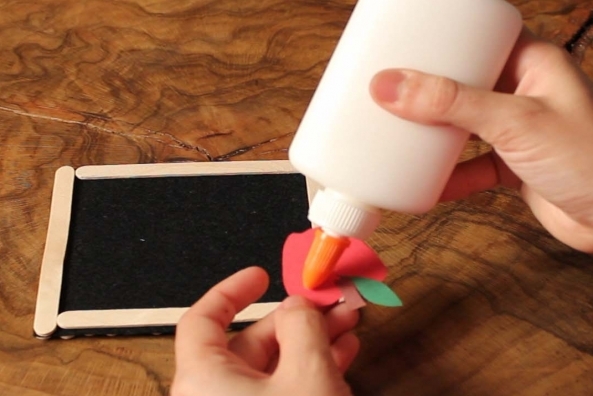 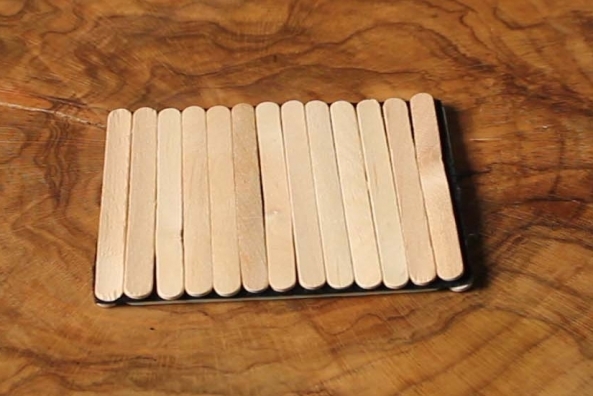 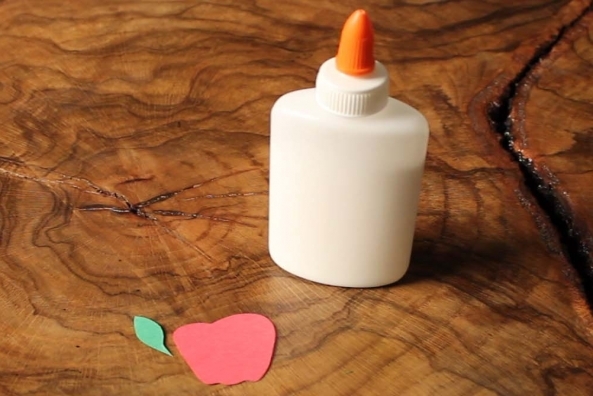 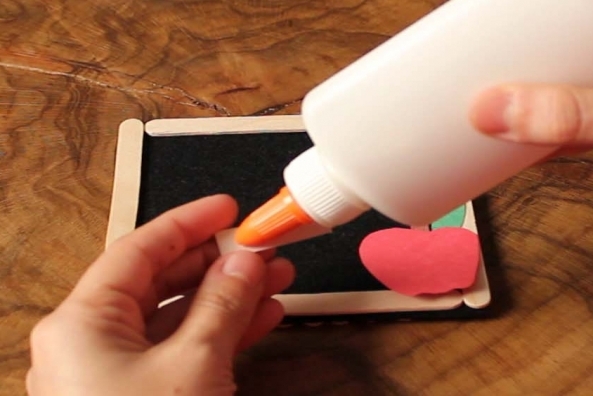 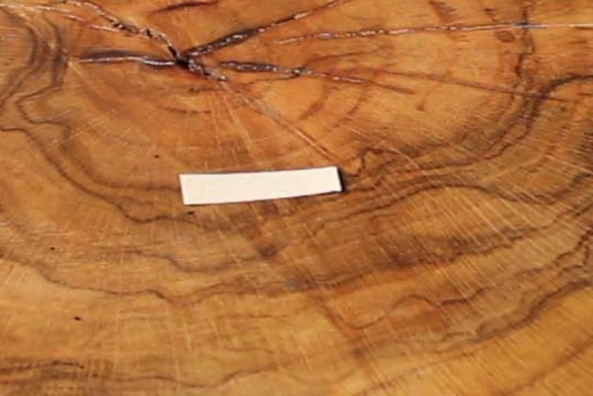 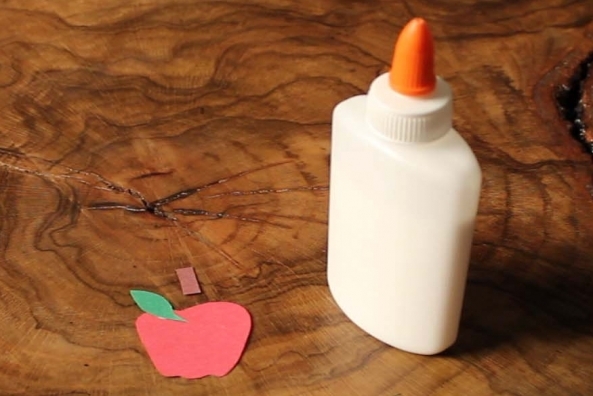 Glue the apple onto one of the bottom corners of your frame.